The Water Project funds both the technical assistance and supplies needed for communities to build wells, small dams, rain catchment systems and/or water filters. Different communities, in different locations require various types of water projects to meet their needs. For many, a well is most practical and efficient. For others, rain collection or simple home-based water filters make more sense. 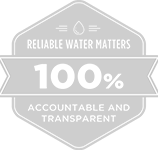 Our partners work hard to ensure the right solution for each project is used. Regardless of the water project type, we always work to ensure that proper sanitation and hygiene training are a part of every project. Sanitation is critical to protecting the water source. You can't poop near the water you drink. There are more technical ways of saying that, but they mean the same thing. Rotting garbage, farm runoff, and animals must be kept away as well. We also require our partners to teach people how and when to wash their hands, brush their teeth, clean dishes and other practices that improve overall health. Again, it seems simple, but if you've never been taught what can make you sick, it's not so easy. 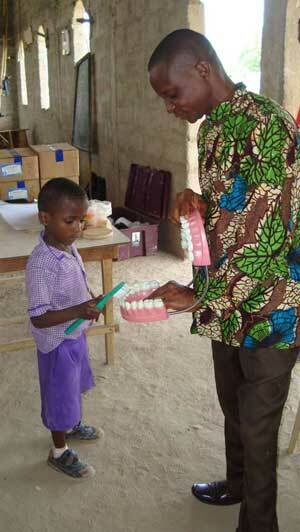 Programs must carefully crafted, respectful and provide a means of follow up. 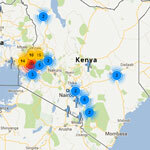 We think that's best done with local teachers and leaders taking charge. In schools, students are taught not only the lesson, but how to go home and teach it to their parents as well. This training multiplies the good that a new well brings. 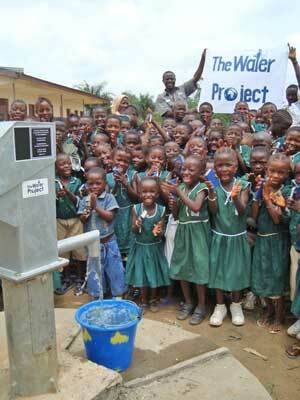 Water wells are often an excellent way to bring clean water to a community. The cost to dig a well, cap it, and install a water pump varies dramatically from one site to the next however. Why such difference? There are lots of factors. How deep is the water? Is it hard or soft rock? How much water is there? How many people will the project support? Does the water need to be distributed to more convenient taps? 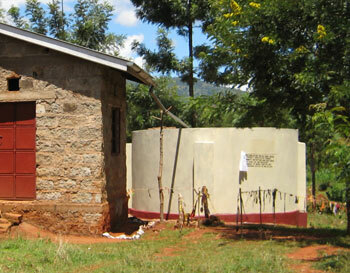 Sometimes we'll fund a well for 1,000 people at a cost of around $40,000. That well would be high producing, likely very deep, and require diesel powered pumps to keep up with demand. 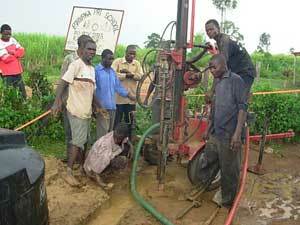 In other cases, we'll fund a hand pump project that can serve up to 500 people for around $7,000. We work with our partners to determine the most appropriate project for each community. We love to fund well repairs. These are often the most cost efficient projects we do. When a hand pump has broken down, a well is useless to a community. For often times just pennies per person, we can fund the repair of these pumps, restoring clean water to entire villages. Costs usually run between $1,200-$4,000 depending on the repairs need. Each project community receives the same care and attention that a new well site does, ensuring that their reparied well will last for a very long time. Weirs, check dams, or sand dams are effective in storing often intense tropical rainfalls that occur roughly twice a year. During these times, river channels fill with water after rain falls for a few hours or days. The problem is, with no natural barriers the water moves quickly out to the Indian Ocean. Weirs can block and store a large amount of this water without adversely affecting communities downstream. The seepage into the ground also helps to replenish the water table. 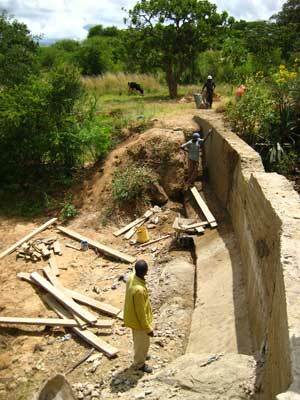 The community then guards the quality of water by preventing animals from having direct access to the water source. Also called rain harvesting, these simple systems connect downspouts and other rain catchment systems to a central water tank capable of holding about 100,000 litres or more. Often the issue is not that it never rains, but rather that when it does, most of the runoff is lost. These systems combined, make the best use of what little rain there is.